Today concludes Patrick Gabridge's Blog Tour for Steering to Freedom and I have one last chance for one of you to win a copy for your eReader! A troubled country, a courageous heart, and the struggle for freedom. In May 1862, Robert Smalls, a slave and ship's pilot in Charleston, South Carolina, crafts a daring plan to steal the steamship Planter and deliver it, along with, the crew and their families to the Union blockade. After risking his life to escape slavery, Robert faces an even more difficult challenge: convincing Abraham Lincoln to enlist black troops. Based on a true story, Steering to Freedom tells the powerful and inspirational story of a young man who becomes the first black captain of a US military ship, while struggling to navigate a path to freedom for himself, his family, and his people. "Steering to Freedom sweeps back the curtain on an extraordinary story of heroism and sacrifice. Escape is only the beginning. Robert Smalls doesn't just save himself: he brings out his family, his friends and his mates — and then he goes back, fighting not just the navies of the South but the deep-rooted prejudices and ignorance of the North. With a sure touch for historical detail and a mastery of the human condition, Patrick Gabridge brilliantly evokes the spirit of a time, a country in struggle, and the heart of a man at its center".— Mike Cooper, author of Clawback and Full Ratchet. "In Patrick Gabridge’s meticulously crafted new novel Steering to Freedom, we’re treated to the gripping true tale of Captain Robert Smalls, a South Carolina slave who, after seizing his freedom, risked his life in a series of nautical adventures to win freedom for all of his enchained brothers and sisters. This powerful and inspirational story is skillfully and dramatically rendered by a writer who not only knows how to steer a good story, but who does so without losing sight of the heart-breaking humanity of his players." — Mark Dunn, author of Ella Minnow Pea and Under the Harrow. "Engaging characters and captivating storytelling make this inspiring historical adventure a must-read. For readers who enjoy seeing history through the lens of imagination. " — Sophie Littlefield, author A Bad Day for Sorry and A Garden for Stones. "Steering to Freedom brings to life the extraordinary true story of Captain Robert Smalls, an important figure in American Civil War history who should not be overlooked. This is an inspiring story of a hero: a slave who steals a steamship and navigates treacherous waters to lead his crew and their families to freedom. Yet in the hands of novelist Patrick Gabridge, Robert Smalls is entirely human, real, and relatable. Gabridge shows us a man whose highest ambitions are fueled by the important personal relationships in his life, especially his wife and children. With its cinematic scope, action-packed adventure, historical detail and emotional heft, Steering to Freedom will appeal to many audiences. " — Diana Renn author of Blue Voyage, and Latitude Zero. "Patrick Gabridge's Steering to Freedom is a swashbuckling, page-turning epic set against the immaculately detailed backdrop of Charleston Harbor during the Civil War. Robert Smalls, a brilliant, resourceful slave, makes a daring and audacious bid for freedom. The story, based on actual events, reads with the freshness of fiction and the authenticity of truth. The characters from every walk of life earn your respect and then your admiration and finally your love. Patrick Gabridge has given us a whole new lens on the Civil War by bringing a previously unknown chapter to vivid, deeply moving, unforgettable life. — Laura Harrington, award winning author of Alice Bliss and selected for Barnes & Noble’s “Discover Great New Writers” program, and as an Entertainment Weekly "Best Reads of the Summer," and a Publishers Weekly First Fiction title. 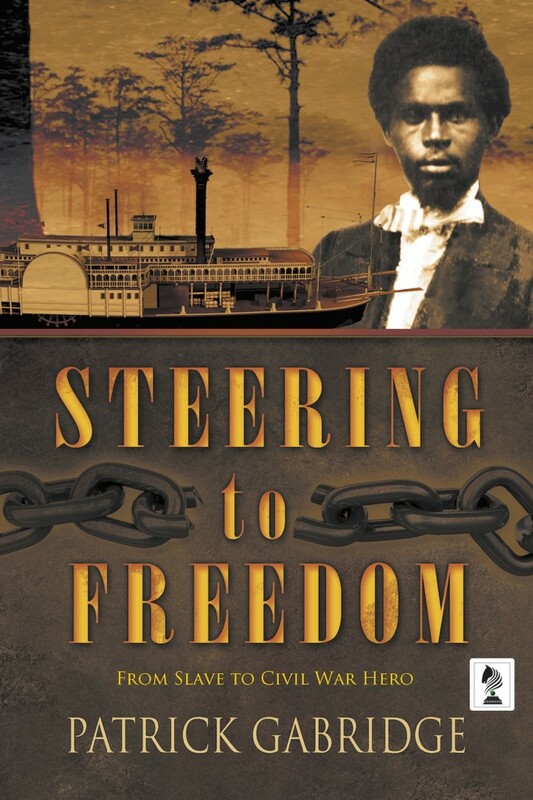 In Steering to Freedom, Patrick Gabridge has intertwined history with a meticulous and moving narrative of Robert Smalls—Confederate steamboat pilot, family man, and slave—whose daring vision to claim freedom against all odds will grab the reader from the first page. —Jessica Maria Tuccelli, author of Glow. Patrick Gabridge is an award-winning playwright, novelist, and screenwriter. His full-length plays include Flight, Distant Neighbors, Lab Rats, Constant State of Panic, and Blinders, and have been staged by theaters across the country. His passion for history extends to the stage, and his historical plays include work about the creation of the English Bible (Fire on Earth), the astronomers Kepler and Tycho (Reading the Mind of God), a volcanic eruption on Martinique (The Prisoner of St. Pierre), 19th century Boston publisher Daniel Sharp Ford (None But the Best), and the 1770 Boston Massacre (Blood on the Snow). Patrick has been a Playwriting Fellow with the Huntington Theatre Company and with New Repertory. Recent commissions include plays and musicals for In Good Company, The Bostonian Society, Central Square Theatre, and Tumblehome Learning. His short plays are published by Playscripts, Brooklyn Publishers, Heuer, Smith & Kraus, and YouthPlays, and have received more than a thousand productions from theatres and schools around the world. His other novels include Tornado Siren and Moving [a life in boxes]. His work for radio has been broadcast by NPR, Shoestring Radio Theatre, Playing on Air, and Icebox Radio Theatre. 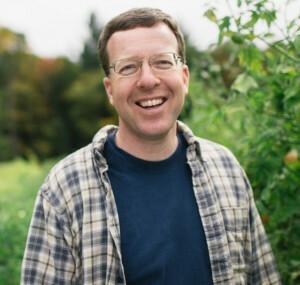 Patrick has a habit of starting things: he helped start Boston’s Rhombus writers’ group, the Chameleon Stage theatre company in Denver, the Bare Bones Theatre company in New York, the publication Market InSight... for Playwrights, and the on-line Playwrights’ Submission Binge. He’s also a member of the Dramatists Guild, StageSource, and a board member of the Theatre Community Benevolent Fund. He is currently the co-founder and coordinator of the New England New Play Alliance and is actively involved with the Boston theater scene. Patrick has received numerous awards for work, including fellowships from the Colorado Council on the Arts and the Massachusetts Cultural Commission. For more information visit Patrick Gabridge's website, or on his blog, The Writing Life x3. You can also find him on Facebook, Twitter, Goodreads, and Pinterest. To win an eBook of Steering to Freedom please leave a comment below with your email address. – Giveaway ends at 11:59pm EST on November 10th. You must be 18 or older to enter. Thank you for making it open to all. This book sounds amazing thank you.